To mark the sad news that Roger Moore has died, we decided to take a look at some of Bond’s classic vehicles – including that Lotus Esprit. Not every Bond car was hi-tech. From the Citroen 2CV used in For Your Eyes Only to the Sunbeam Alpine that featured in Dr. No, and not forgetting the poor old Leyland Sherpa panel van ripped apart by the infamous Jaws in The Spy Who Loved Me, Bond has piloted some eclectic machines. Here we celebrate twenty of the most memorable. 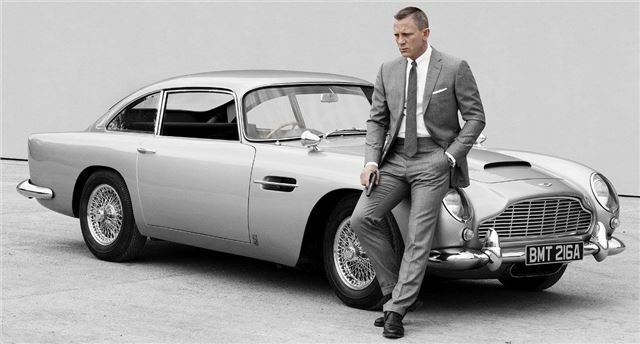 Bond cars don’t come any more iconic than the Aston Martin DB5, which has appeared in no fewer than six films. First came Goldfinger, which saw Sean Connery at the wheel, followed by appearances for the DB5 in Thunderball, Goldeneye, Tomorrow Never Dies and Casino Royale, plus its most recent starring role in Skyfall. Aided by the antics of 007, the DB5 is one of the most famous and iconic models ever produced by Aston Martin, despite its short run (1963-65) and total sales of just over a thousand cars.